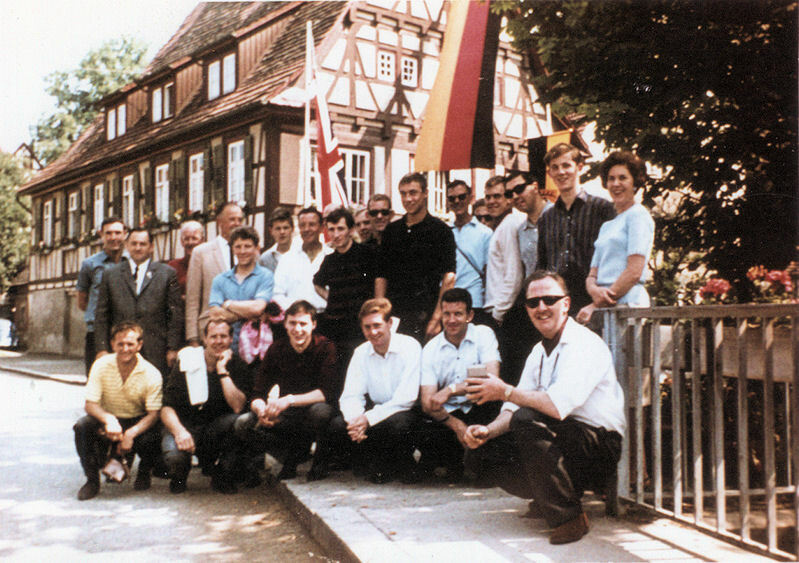 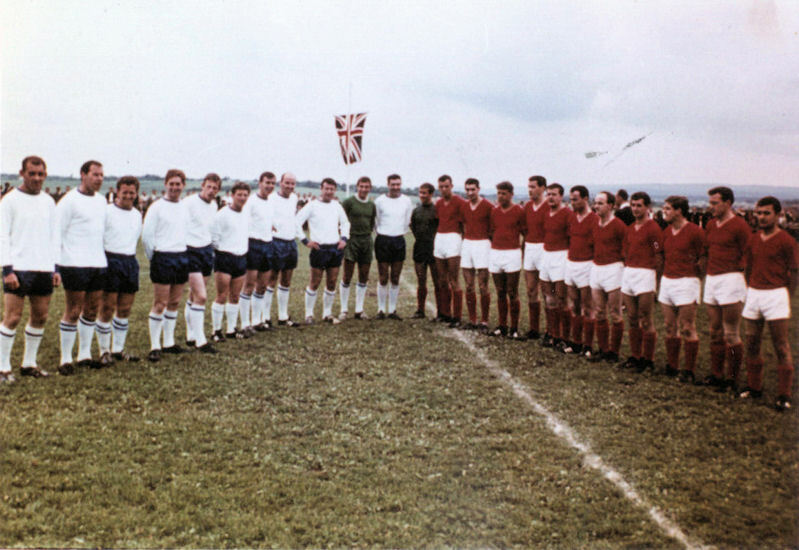 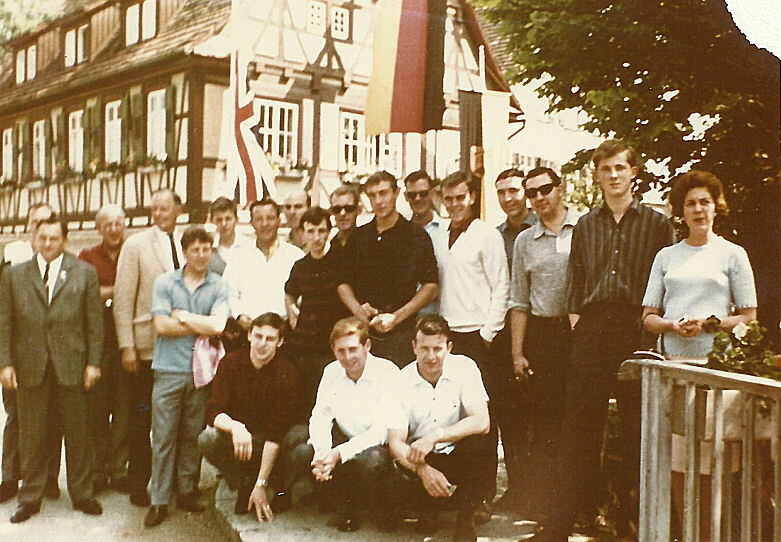 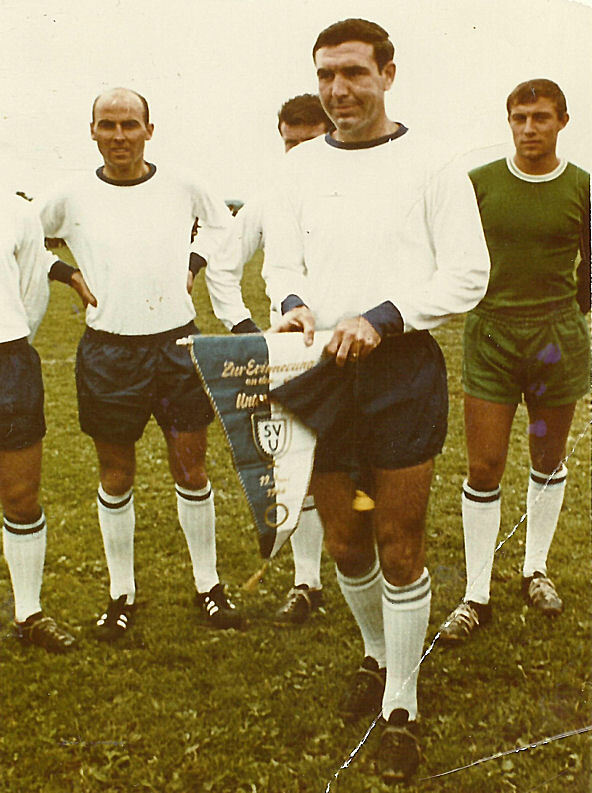 In June 1966 Margate embarked on a tour to West Germany to play in three friendly matches. 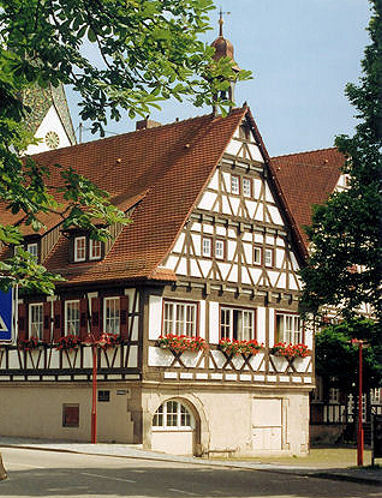 The team travelled from Dover and their 15 hour journey ended in the village of Unterweissach, around 30 miles north-east of Stuttgart. 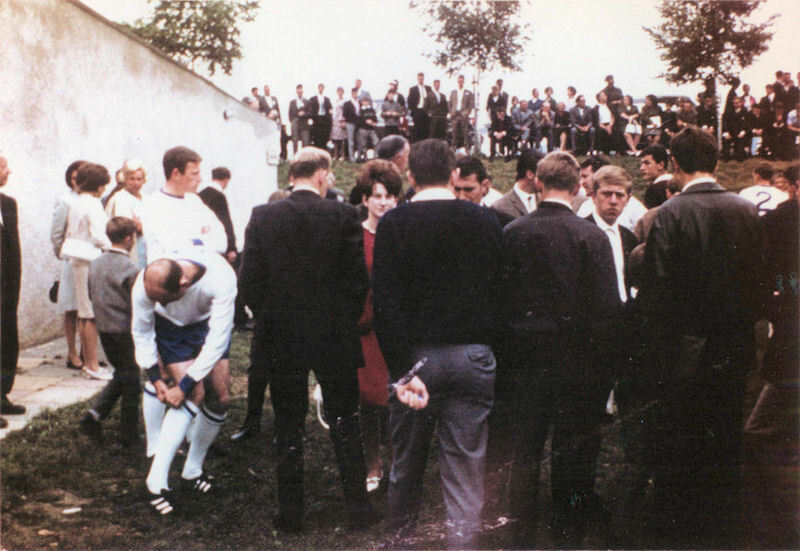 The Margate players stayed with families in the village and attended a civic reception where the team was greeted as the first English side ever to visit the area. 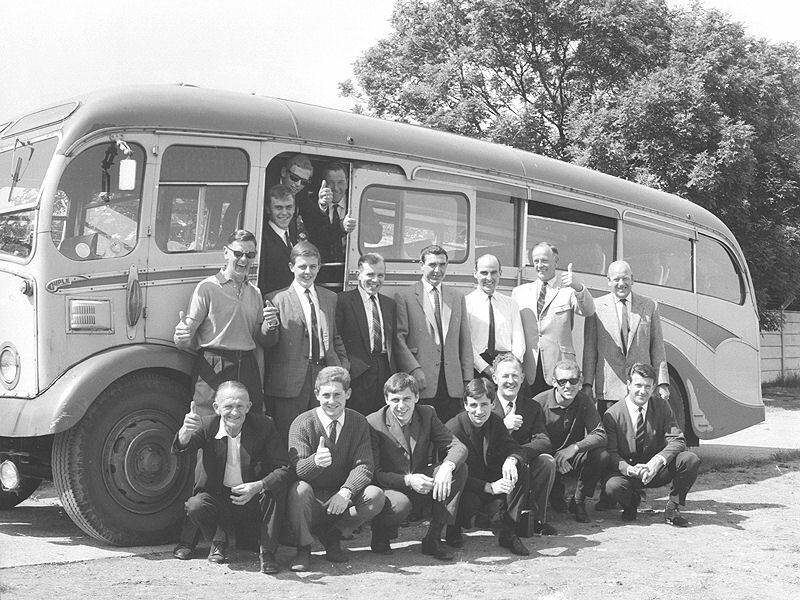 The 15-man Margate squad that made the trip was: Gordon Burden, Bill Fuller, Peter Gillott, Bob Harrop, David Jarman, Tommy Marshall, Bob Pearce, David Pye, Les Riggs, Ron Smillie, Lester Smith, Paul Thomas, Laurie Thomson, Roger Wedge and Phil Winfield. 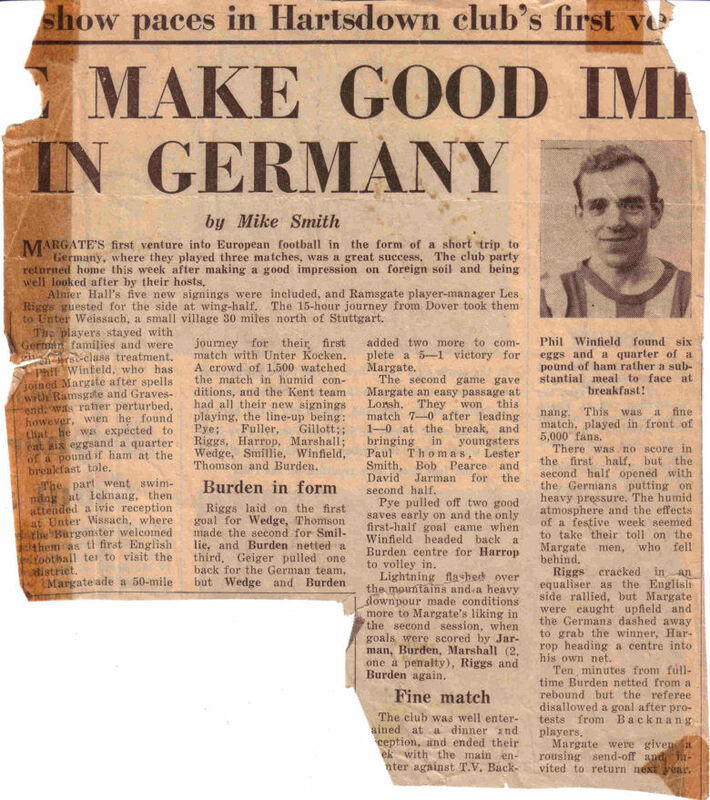 Margate included three brand new signings from Chelmsford - Peter Gillott, David Pye and Ron Smillie whilst Les Riggs was a guest player. 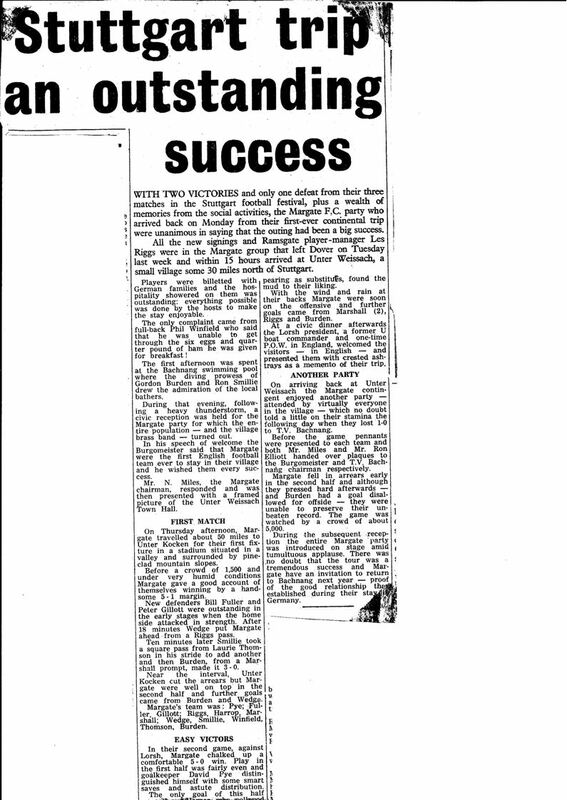 He was Ramsgate's player-manager at the time and never played for Margate competitively although in November 1971 he became the club's manager. 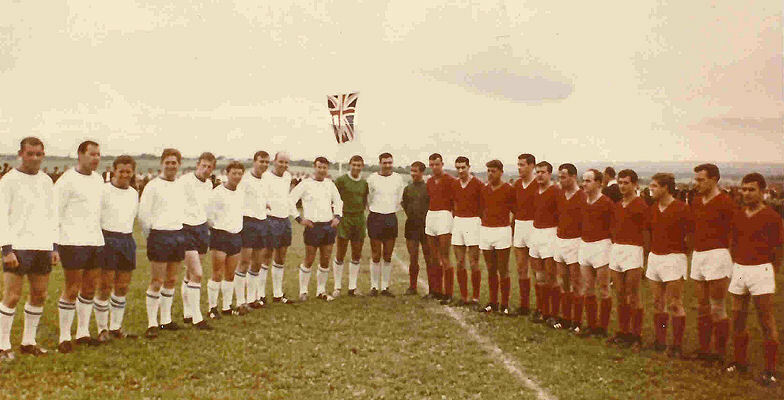 Margate's first game was against Unter Kocken who were based around 50 miles from Unterweissach and a crowd of around 1,500 saw Margate win 5-1 with goals from Gordon Burden (2), Roger Wedge (2) and Ron Smillie. 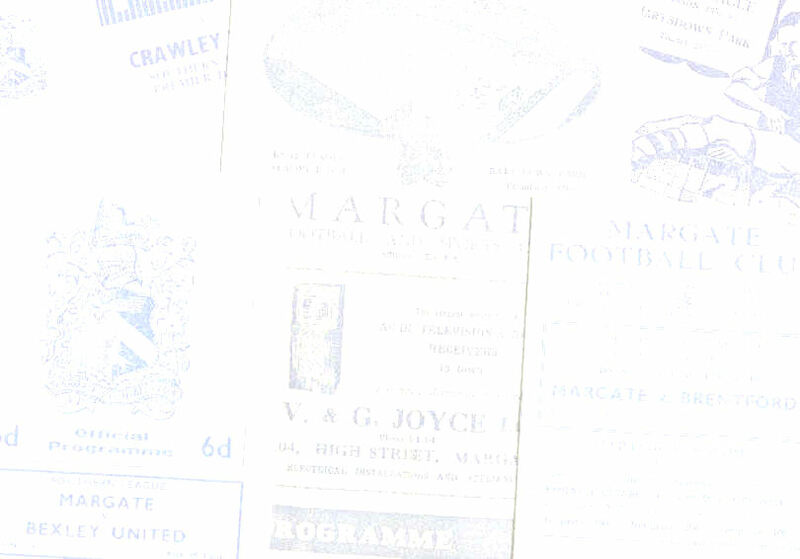 ...Margate won 7-0 and the goalscorers were Gordon Burden (2), Tommy Marshall / Marchale (2), Bob / Bop Harrop / Narop, David Jarman and Les Riggs. 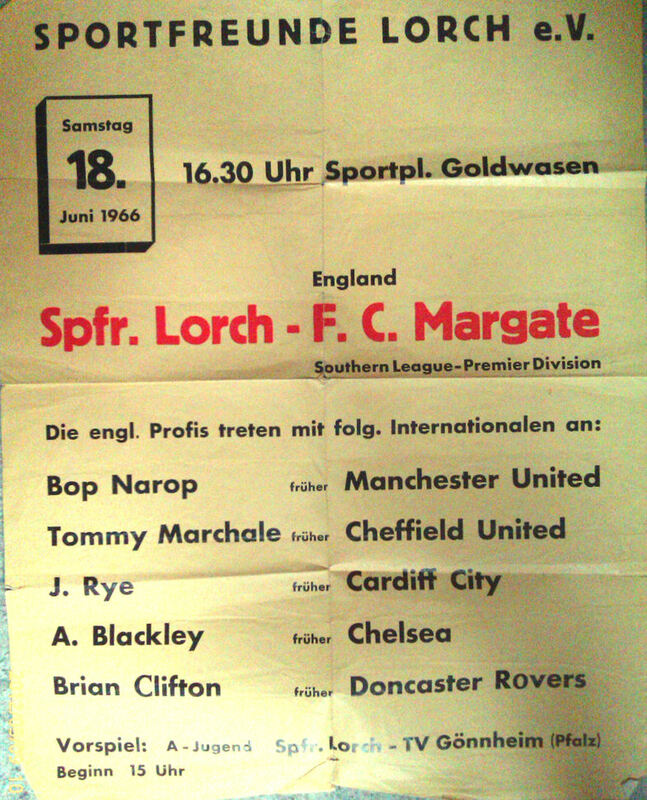 The final game of the trip saw Margate travel around ten miles north-west to play against TSG Backnang who won 2-1. 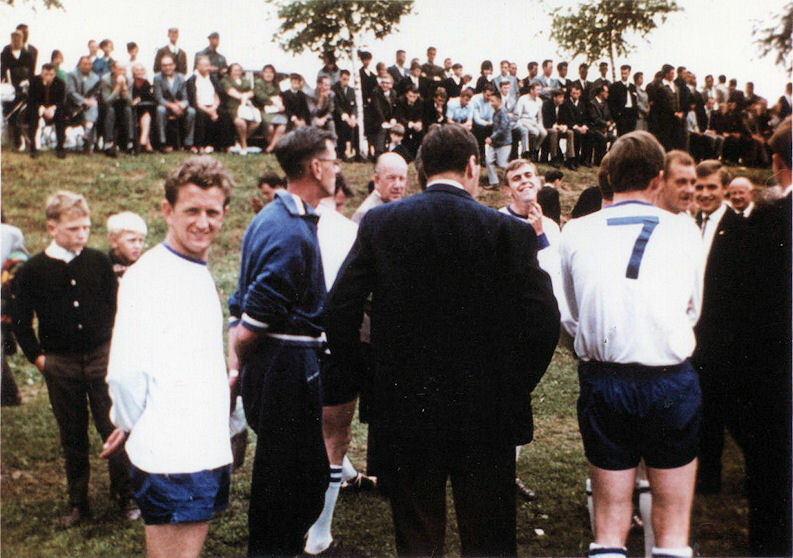 Les Riggs got the Margate goal.